Roman law is the legal system of ancient Rome, including the legal developments spanning over a thousand years of jurisprudence, from the Twelve Tables (c. 449 BC), to the Corpus Juris Civilis (AD 529) ordered by Eastern Roman Emperor Justinian I. Roman law forms the basic framework for civil law, the most widely used legal system today, and the terms are sometimes used synonymously. The historical importance of Roman law is reflected by the continued use of Latin legal terminology in many legal systems influenced by it, including common law. After the dissolution of the Western Roman Empire, the Roman law remained in effect in the Eastern Roman Empire. 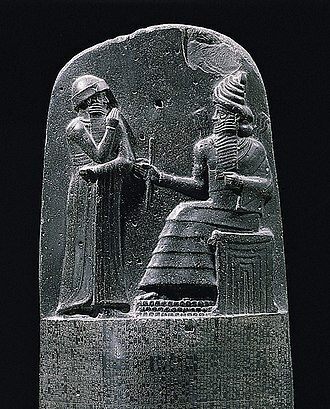 From the 7th century onward, the legal language in the East was Greek. Roman law also denoted the legal system applied in most of Western Europe until the end of the 18th century. In Germany, Roman law practice remained in place longer under the Holy Roman Empire (963–1806). Roman law thus served as a basis for legal practice throughout Western continental Europe, as well as in most former colonies of these European nations, including Latin America, and also in Ethiopia. English and Anglo-American common law were influenced also by Roman law, notably in their Latinate legal glossary (for example, stare decisis, culpa in contrahendo, pacta sunt servanda). Eastern Europe was also influenced by the jurisprudence of the Corpus Juris Civilis, especially in countries such as medieval Romania (Wallachia, Moldavia, and some other medieval provinces/historical regions) which created a new system, a mixture of Roman and local law. Also, Eastern European law was influenced by the "Farmer's Law" of the medieval Byzantine legal system. Before the Twelve Tables (754–449 BC), private law comprised the Roman civil law (ius civile Quiritium) that applied only to Roman citizens, and was bonded to religion; undeveloped, with attributes of strict formalism, symbolism, and conservatism, e.g. the ritual practice of mancipatio (a form of sale). The jurist Sextus Pomponius said, "At the beginning of our city, the people began their first activities without any fixed law, and without any fixed rights: all things were ruled despotically, by kings". 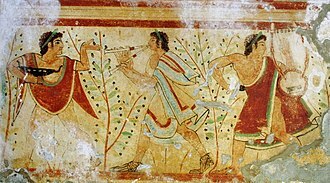 It is believed that Roman Law is rooted in the Etruscan religion, emphasizing ritual. Many laws include Lex Canuleia (445 BC; which allowed the marriage—ius connubii—between patricians and plebeians), Leges Licinae Sextiae (367 BC; which made restrictions on possession of public lands—ager publicus—and also made sure that one of the consuls was plebeian), Lex Ogulnia (300 BC; plebeians received access to priest posts), and Lex Hortensia (287 BC; verdicts of plebeian assemblies—plebiscita—now bind all people). Traditionally, the origins of Roman legal science are connected to Gnaeus Flavius. Flavius is said to have published around the year 300 BC the formularies containing the words which had to be spoken in court to begin a legal action. Before the time of Flavius, these formularies are said to have been secret and known only to the priests. Their publication made it possible for non-priests to explore the meaning of these legal texts. Whether or not this story is credible, jurists were active and legal treatises were written in larger numbers before the 2nd century BC. Among the famous jurists of the republican period are Quintus Mucius Scaevola who wrote a voluminous treatise on all aspects of the law, which was very influential in later times, and Servius Sulpicius Rufus, a friend of Marcus Tullius Cicero. 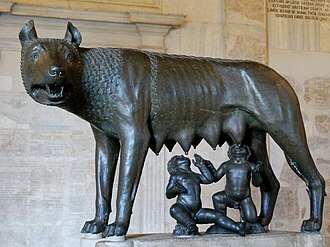 Thus, Rome had developed a very sophisticated legal system and a refined legal culture when the Roman republic was replaced by the monarchical system of the principate in 27 BC. The Assemblies could decide whether war or peace. The Senate had complete control over the Treasury, and the Consuls had the highest juridical power. ius scriptum and ius non-scriptum – meaning written and unwritten law, respectively. In practice, the two differed by the means of their creation and not necessarily whether or not they were written down. The ius scriptum was the body of statute laws made by the legislature. The laws were known as leges (lit. "laws") and plebiscita (lit. "plebiscites," originating in the Plebeian Council). Roman lawyers would also include in the ius scriptum the edicts of magistrates (magistratuum edicta), the advice of the Senate (Senatus consulta), the responses and thoughts of jurists (responsa prudentium), and the proclamations and beliefs of the emperor (principum placita). Ius non-scriptum was the body of common laws that arose from customary practice and had become binding over time. 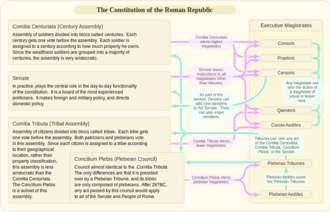 The constitution of the Roman Republic was not formal or even official. 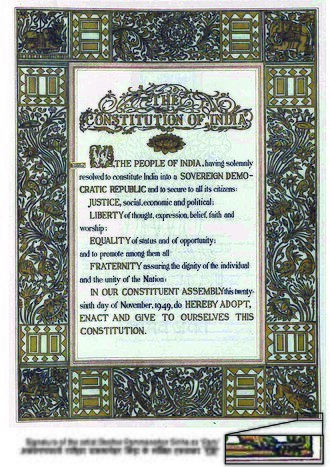 Its constitution was largely unwritten, and was constantly evolving throughout the life of the Republic. Throughout the 1st century BC, the power and legitimacy of the Roman constitution was progressively eroding. Even Roman constitutionalists, such as the senator Cicero, lost a willingness to remain faithful to it towards the end of the republic. When the Roman Republic ultimately fell in the years following the Battle of Actium and Mark Antony's suicide, what was left of the Roman constitution died along with the Republic. 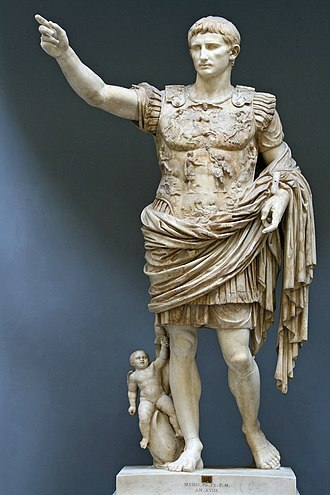 The first Roman Emperor, Augustus, attempted to manufacture the appearance of a constitution that still governed the Empire, by utilising that constitution's institutions to lend legitimacy to the Principate, e.g. reusing prior grants of greater imperium to substantiate Augustus' greater imperium over the Imperial provinces and the prorogation of different magistracies to justify Augustus' receipt of tribunician power. The belief in a surviving constitution lasted well into the life of the Roman Empire. To describe a person's position in the legal system, Romans mostly used the expression togeus. The individual could have been a Roman citizen (status civitatis) unlike foreigners, or he could have been free (status libertatis) unlike slaves, or he could have had a certain position in a Roman family (status familiae) either as the head of the family (pater familias), or some lower member. *alieni iuris-which lives by someone else's law. 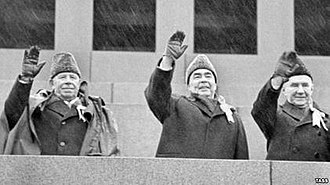 Two status types were senator and emperor. The history of Roman Law can be divided into three systems of procedure: that of legis actiones, the formulary system, and cognitio extra ordinem. 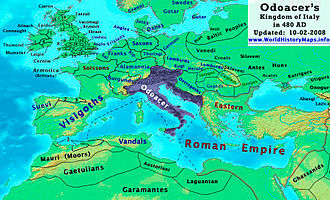 The periods in which these systems were in use overlapped one another and did not have definitive breaks, but it can be stated that the legis actio system prevailed from the time of the XII Tables (c. 450 BC) until about the end of the 2nd century BC, that the formulary procedure was primarily used from the last century of the Republic until the end of the classical period (c. AD 200), and that of cognitio extra ordinem was in use in post-classical times. Again, these dates are meant as a tool to help understand the types of procedure in use, not as a rigid boundary where one system stopped and another began. The codes of Justinian, particularly the Corpus Juris Civilis (529–534) continued to be the basis of legal practice in the Empire throughout its so-called Byzantine history. Leo III the Isaurian issued a new code, the Ecloga, in the early 8th century. 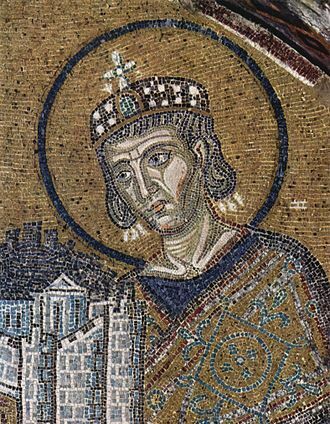 In the 9th century, the emperors Basil I and Leo VI the Wise commissioned a combined translation of the Code and the Digest, parts of Justinian's codes, into Greek, which became known as the Basilica. Roman law as preserved in the codes of Justinian and in the Basilica remained the basis of legal practice in Greece and in the courts of the Eastern Orthodox Church even after the fall of the Byzantine Empire and the conquest by the Turks, and, along with the Syro-Roman law book, also formed the basis for much of the Fetha Negest, which remained in force in Ethiopia until 1931. 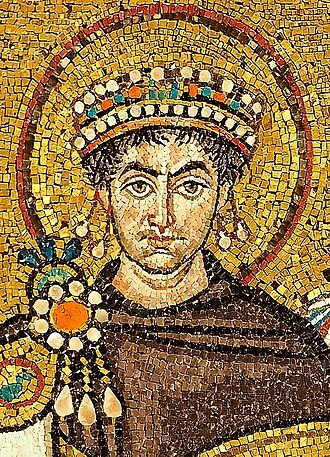 In the west, Justinian's political authority never went any farther than certain portions of the Italian and Hispanic peninsulas. In Law codes were issued by the Germanic kings, however, the influence of early Eastern Roman codes on some of these is quite discernible. In many early Germanic states, Roman citizens continued to be governed by Roman laws for quite some time, even while members of the various Germanic tribes were governed by their own respective codes. There are several reasons that Roman law was favored in the Middle Ages. Roman law regulated the legal protection of property and the equality of legal subjects and their wills, and it prescribed the possibility that the legal subjects could dispose their property through testament. 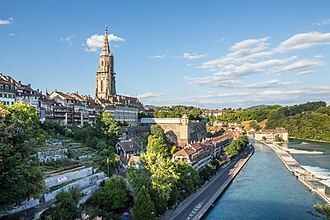 Today, Roman law is no longer applied in legal practice, even though the legal systems of some countries like South Africa and San Marino are still based on the old jus commune. However, even where the legal practice is based on a code, many rules deriving from Roman law apply: no code completely broke with the Roman tradition. 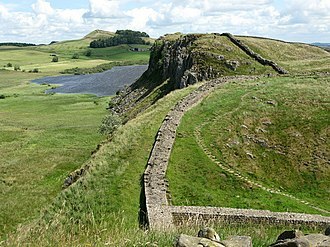 Rather, the provisions of the Roman law were fitted into a more coherent system and expressed in the national language. For this reason, knowledge of the Roman law is indispensable to understand the legal systems of today. Thus, Roman law is often still a mandatory subject for law students in civil law jurisdictions. 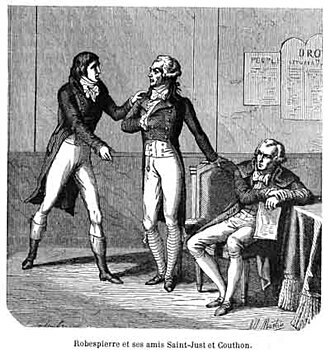 As steps towards a unification of the private law in the member states of the European Union are being taken, the old jus commune, which was the common basis of legal practice everywhere in Europe, but allowed for many local variants, is seen by many as a model. ^ Herbermann, Charles, ed. (1913). "Roman Law" . Catholic Encyclopedia. New York: Robert Appleton Company. ^ Jenő Szmodis: The Reality of the Law – From the Etruscan Religion to the Postmodern Theories of Law; Ed. Kairosz, Budapest, 2005.; http://www.jogiforum.hu/publikaciok/231. ^ a b c d e f g "A Short History of Roman Law", Olga Tellegen-Couperus pp. 19–20. ^ Berger, Adolf (1953). Encyclopedic Dictionary of Roman Law. The American Journal of Philology. 76. pp. 90–93. doi:10.2307/297597. ISBN 9780871694324. JSTOR 291711. ^ "Consul". Livius.org. 2002. Retrieved 19 June 2017. ^ Jolowicz, Herbert Felix; Nicholas, Barry (1967). Historical Introduction to the Study of Roman Law. Cambridge University Press. p. 528. ISBN 9780521082532. ^ a b c Tellegen-Couperus, Olga Eveline (1993). A Short History of Roman Law. Psychology Press. p. 174. ISBN 9780415072502. ^ "Ecloga". Encyclopedia Britannica. Encyclopedia Britannica, Inc. 20 July 1998. Retrieved 6 October 2018. ^ Rheinstein, Max; Glendon, Mary Ann; Carozza, Paolo. "Civil law (Romano-Germanic)". Encyclopædia Britannica. Encyclopædia Britannica, Inc. Retrieved 6 October 2018. Bablitz, Leanne E. 2007. Actors and Audience in the Roman Courtroom. London: Routledge. Bauman, Richard A. 1989. Lawyers and Politics in the Early Roman Empire. Munich: Beck. 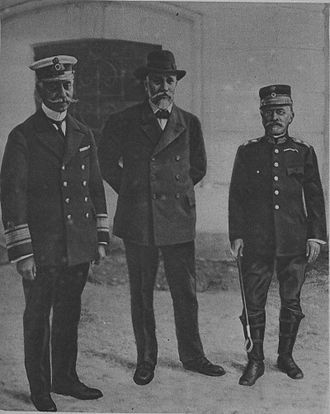 Borkowski, Andrew, and Paul Du Plessis. 2005. A Textbook on Roman Law. Oxford: Oxford Univ. Press. Buckland, William Warwick. 1963. A Textbook of Roman Law from Augustus to Justinian. Revised by P. G. Stein. 3d edition. Cambridge, UK: Cambridge Univ. Press. Daube, David. 1969. Roman Law: Linguistic, Social and Philosophical Aspects. Edinburgh: Edinburgh Univ. Press. De Ligt, Luuk. 2007. "Roman Law and the Roman Economy: Three Case Studies." Latomus 66.1: 10–25. du Plessis, Paul. 2006. "Janus in the Roman Law of Urban Lease." Historia 55.1: 48–63. Gardner, Jane F. 1986. Women in Roman Law and Society. London: Croom Helm. Nicholas, Barry. 1962. An Introduction to Roman Law. Oxford: Clarendon Press. Nicholas, Barry, and Peter Birks, eds. 1989. New Perspectives in the Roman Law of Property. Oxford: Oxford Univ. Press. Powell, Jonathan, and Jeremy Paterson, eds. 2004. Cicero the Advocate. Oxford: Oxford Univ. Press. Rives, James B. 2003. "Magic in Roman Law: The Reconstruction of a Crime." Classical Antiquity 22.2: 313–39. Schulz, Fritz. 1946. History of Roman Legal Science. Oxford: Clarendon Press. "Roman Law" . Encyclopædia Britannica (11th ed.). 1911. According to Roman tradition, the Law of the Twelve Tables was the legislation that stood at the foundation of Roman law. The Tables consolidated earlier traditions into a set of laws. The Twelve Tables are sufficiently comprehensive that their substance has been described as a code, the Tables were a sequence of definitions of various private rights and procedures. They generally took for granted such things as the institutions of the family, the provisions were often highly specific and diverse, and lack an intelligible system or order. The Twelve Tables of Roman society were said by the Romans to have come about as a result of the social struggle between patricians and plebeians. After the expulsion of the last king of Rome, Tarquinius Superbus, only patricians were eligible to become magistrates and this, among other plebeian complaints, was a source of discontent for plebeians. In the context of this status, plebeians would take action to secure concessions for themselves using the threat of secession. They would threaten to leave the city with the consequence that it would grind to a halt, however this tradition cannot be verified, and the drafting of the Twelve Tables may have been fomented by a desire for self-regulation by the patricians, or for other reasons. Around 450 BC, the first decemviri were appointed to draw up the first ten tables. According to Livy, they sent an embassy to Greece to study the system of Athens, known as the Solonian Constitution. In 450 BC, the second decemviri started to work on the last two tables, the first decemvirate completed the first ten codes in 450 BC. In 449 BC, the second decemvirate completed the last two codes, and after a secessio plebis to force the Senate to consider them, the Law of the Twelve Tables was formally promulgated. According to Livy the Twelve Tables were inscribed on bronze, and posted publicly, so all Romans could read, the Twelve Tables are no longer extant, although they remained an important source through the Republic, they gradually became obsolete, eventually being only of historical interest. The Dominate or late Roman Empire was the despotic phase of imperial government, following the earlier period known as the Principate, in the ancient Roman Empire. In form, the Dominate is considered to have been more authoritarian, less collegiate, the term Dominate is derived from the Latin dominus, which translates into English as lord or master. Augustus actively discouraged the practice, and Tiberius in particular is said to have reviled it as sycophancy, the Dominate system of government emerged as a response to the 50 years of chaos that is referred to as the Crisis of the Third Century. Further, not all the changes resulted in the Dominate were complete by the time of Diocletian’s abdication in AD305. Consequently, just as the Principate emerged over the period 31 BC through to 14 AD and these bureaucratic machines worked moderately well, and their success might have been extraordinary if the monarchs who directed them had always been men of superior ability. Blots of course and defects there were, especially in the fields of economy, the political creation of the Illyrian Emperors was not unworthy of the genius of Rome. Under the Principate, the position of emperor saw the concentration of various civil and this role was almost always filled by a single individual, and the date that the Potestas tribunicia was conferred onto that person was the point when imperial authority could be exercised. Over the course of the Principate, it common for the emperor to nominate an heir. Further, it was their absence which caused usurpations to occur in response to a local or provincial crisis that traditionally would have dealt with by the emperor. Under the Dominate, the burden of the position was increasingly shared between colleagues, referred to as the Consortium imperii. This original power sharing model lasted from AD289 through to AD324, with Constantine I’s death in AD337, the empire was again shared between multiple augusti, lasting until AD350. The model became a permanent feature of the empire in AD364 with the accession of Valentinian I, barring the 3-year period of solitary rule by Theodosius I from AD 392–395, this approach would last until the overthrow of the last western emperor in AD476. This reflects the principate emperors assertion that they were merely first among equals among the citizens of Rome. The title itself derived from the position of the princeps senatus, although dynastic pretences crept in from the start, formalizing this in a monarchic style remained politically unthinkable. Afterwards, Imperial rule in the Empire is designated as the dominate, the theory implied the first citizen had to earn his extraordinary position by merit in the style that Augustus himself had gained the position of auctoritas. Large distributions of food for the public and charitable institutions were means that served as popularity boosters while the construction of public works provided employment for the poor. With the fall of the Julio-Claudian dynasty, the principate was redefined in formal terms under the Emperor Vespasian, the position of princeps became a distinct entity within the broader – formally still republican – Roman constitution. Under the Antonine dynasty, it was the norm for the Emperor to appoint a successful, in modern historical analysis, this is treated by many authors as an ideal situation, the individual who was most capable was promoted to the position of princeps. The Constitution of the Roman Kingdom was an unwritten set of guidelines and principles originating mainly through precedent. During the years of the Roman Kingdom, the arrangement was centered on the king, who had the power to appoint assistants. The Roman Senate, which was dominated by the aristocracy, served as the council to the king. Often, the king asked the Senate to vote on various matters, the king could request a vote on various matters by the popular assembly, which he was free to ignore. The popular assembly functioned as a vehicle through which the People of Rome could express their opinions, in it, the people were organized according to their respective curiae. However, the assembly did have other functions. For example, it was a used by citizens to hear announcements. It could serve as a court for both civil and criminal matters. The period of the kingdom can be divided into two based on the legends. While the specific legends were probably not true, they were based on historical fact. It is likely that, before the founding of the republic, the first legendary epoch spans the reigns of the first four legendary kings. The city fought several wars of conquest, the port of Ostia was founded, the early Romans were divided into three ethnic groups, the Ramnes and Luceres. 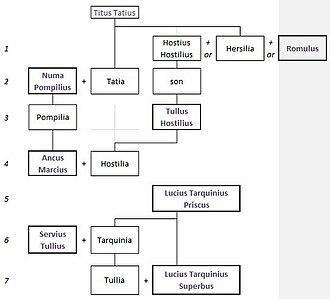 The original patrician families belonged to ethnic groups. In an attempt to add a level of organization to the city, the vehicle through which the early Romans expressed their democratic impulses was known as a committee. The two principal assemblies that formed were known as the Curiate Assembly and the Calate Assembly, the two assemblies were designed to mirror the ethnic divisions of the city and, as such, the assemblies were organized according to curia. The vehicle through which the early Romans expressed their aristocratic impulses was a council of town elders, the elders of this council were known as patres, and thus are known to history as the first Roman senators. The populus and the elders eventually recognized the need for a political leader. Prefect is a magisterial title of varying definition, but which, refers to the leader of an administrative area. A prefects office, department, or area of control is called a prefecture, the words prefect and prefecture are used, more or less conventionally, to render analogous words in other languages, especially Romance languages. They did have authority in their prefecture such as controlling prisons. The Praetorian prefect began as the commander of a generals guard company in the field. 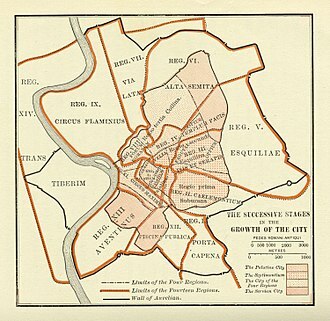 From the Emperor Diocletians tetrarchy they became the administrators of the four Praetorian prefectures, Praefectus urbi, or praefectus urbanus, city prefect, in charge of the administration of Rome. Praefectus vigilum, commander of the Vigiles, Praefectus aerarii, nobles appointed guardians of the state treasury. Praefectus aerarii militaris, prefect of the military treasury Praefectus annonae, Praefectus alae, commander of a cavalry unit. Praefectus cohortis, commander of a cohort, Praefectus fabrum, officer in charge of fabri, i. e. well-trained engineers and artisans. Praefectus legionis agens vice legati, equestrian acting legionary commander, Praefectus orae maritimae, official in charge with the control and defense of an important sector of sea coast. Praefectus socium, Roman officer appointed to a function in an ala sociorum. For some auxiliary troops, specific titles could even refer to their peoples, less important provinces though were entrusted to prefects, military men who would otherwise only govern parts of larger provinces. The most famous example is Pontius Pilate, who governed Judaea at a time when it was administered as an annex of Syria, septimius Severus, after conquering Mesopotamia, introduced the same system there too. Praefectus urbi, a prefect of the era who guarded the city during the annual sacrifice of the Latin. His former title was custos urbi, especially in Medieval Latin, præfectus was used to refer to various officers—administrative, judicial, etc. —usually alongside a more precise term in the vernacular. The term is used by the Roman Catholic Church, which based much of its canon law terminology on Roman law, the Roman Curia has the nine Prefects of all the Congregations as well as the two of the Papal Household and of the Economic Affairs of the Holy See. For the twelfth-century juris, see Vacarius. Vicarius is a Latin word, meaning substitute or deputy and it is the root of the English word vicar. Originally, in ancient Rome, this office was equivalent to the English vice-, each vicarius was assigned to a specific superior official, after whom his full title was generally completed by a genitive. 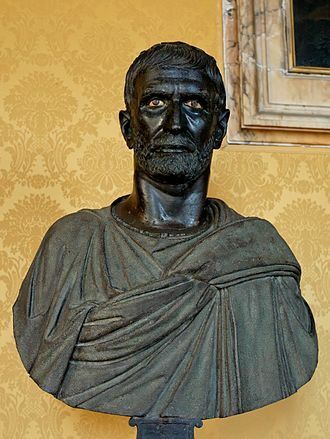 At a low level of society, the slave of a slave, later, in the 290s, the Emperor Diocletian carried out a series of administrative reforms, ushering in the period of the Dominate. These reforms saw the number of Roman provinces increased, and the creation of a new administrative level, the dioceses, initially twelve, grouped several provinces, each with its own governor. 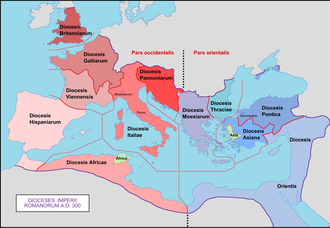 The dioceses were headed by a vicarius, or, more properly, an exception was the Diocese of the East, which was headed by a comes. In 370 or 381 Egypt and Cyrenaica were detached from the Diocese of the East, according to the Notitia dignitatum, the vicarius had the rank of vir spectabilis, the staff of a vicarius, his officium, was rather similar to a gubernatorial officium. The Centuriate Assembly of the Roman Republic was one of the three voting assemblies in the Roman constitution. It was named the Centuriate Assembly as it originally divided Roman citizens into groups of one hundred men by classes, the Centuries originally reflected military status, but reflected the wealth of their members. The Centuries gathered into the Centuriate Assembly for legislative, the majority of votes in any Century decided how that Century voted. Each Century received one vote, regardless of how many electors each Century held, once a majority of Centuries voted in the same way on a given measure, the voting ended, and the matter was decided. 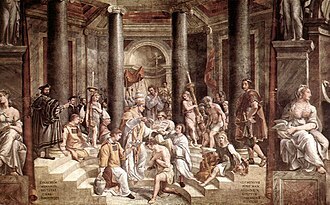 Only the Centuriate Assembly could declare war or elect the highest-ranking Roman Magistrates, the Centuriate Assembly could pass a law that granted constitutional command authority, or Imperium, to Consuls and Praetors, and Censorial powers to Censors. In addition, the Centuriate Assembly served as the highest court of appeal in certain judicial cases, since the Romans used a form of direct democracy and not elected representatives, voted before each assembly. As such, the citizen-electors had no power, other than the power to cast a vote, each assembly was presided over by a single Roman Magistrate, and as such, it was the presiding magistrate who made all decisions on matters of procedure and legality. Ultimately, the magistrates power over the assembly was nearly absolute. The only check on that power came in the form of vetoes handed down by other magistrates, any decision made by a presiding magistrate could be vetoed by a magistrate known as a Plebeian Tribune. In addition, decisions made by presiding magistrates could be vetoed by higher-ranking magistrates, in the Roman system of direct democracy, two primary types of assembly were used to vote on legislative and judicial matters. The Centuriate Assembly was a Committee, Committees were assemblies of all citizens, and were used for official purposes, such as for the enactment of laws. Acts of a Committee applied to all of the members of that Committee, the second type of assembly was the Council, which was a forum where specific groups of citizens met for official purposes. A consul was the highest elected political office of the Roman Republic, and the consulship was considered the highest level of the cursus honorum. Each year, two consuls were elected together, to serve for a one-year term, the consuls alternated in holding imperium each month, and a consuls imperium extended over Rome and the provinces. Originally, consuls were called praetors, referring to their duties as the military commanders. By at least 300 BC the title of Consul was being used, in Greek, the title was originally rendered as στρατηγός ὕπατος, strategos hypatos, and simply as ὕπατος. 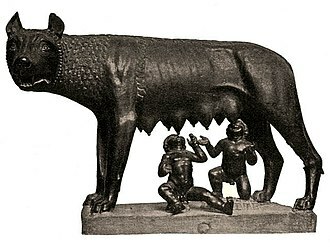 The consul was believed by the Romans to date back to the establishment of the Republic in 509 BC. These remained in place until the office was abolished in 367/366 BC, consuls had extensive powers in peacetime, and in wartime often held the highest military command. Additional religious duties included certain rites which, as a sign of their formal importance, consuls read auguries, an essential step before leading armies into the field. Two consuls were elected each year, serving together, each with power over the others actions. It is thought that only patricians were eligible for the consulship. Consuls were elected by the Comitia Centuriata, which had a bias in its voting structure which only increased over the years from its foundation. If a consul died during his term or was removed from office, a consul elected to start the year - called a consul ordinarius - held more prestige than a suffect consul, partly because the year would be named for ordinary consuls. The first plebeian consul, Lucius Sextius, was elected the following year and it is possible that only the chronology has been distorted, but it seems that one of the first consuls, Lucius Junius Brutus, came from a plebeian family. Another possible explanation is that during the 5th century social struggles, during times of war, the primary qualification for consul was military skill and reputation, but at all times the selection was politically charged. With the passage of time, the became the normal endpoint of the cursus honorum. Flavius Anastasius (consul of the Eastern Roman Empire for AD 517) in consular garb, holding a sceptre and the mappa, a piece of cloth used to signal the start of chariot races at the Hippodrome. Ivory panel from his consular diptych. An antoninianus commemorating the third consulate ("COS III") of the emperor Philip (248 AD). A bronze tablet in the Capitoline Museums recording a law of the Senate now termed the "Lex de Imperio Vespasiani," establishing Vespasian in his imperial munus. 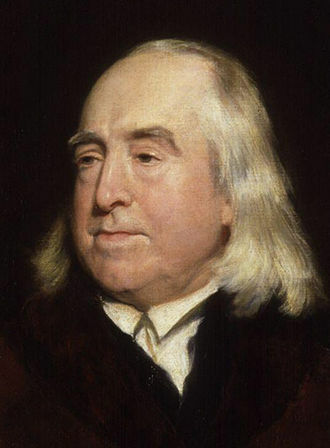 Section VI states that "whatsoever he shall think likely to promote the welfare of the state ... he shall have full right (ius) and authority (potestas) to do." This senatus consultum gives the emperor the absolute right to make decisions, a concept later adopted by the absolute monarchies of Europe. This legislation forestalled any questions about whether the emperor had a right to exercise the authority of the state in any way he pleased. In fact, such questioning was against the law as infringing on the emperor's rights. The death penalty was frequently invoked for such questioning, depending on the emperor (not under Vespasian, who was considered a good emperor). A personification of justice by Bernard d'Agesci. La justice holds scales in one hand and in the other hand a book with "Dieu, la Loi, et le Roi" (God, the Law and the King) on one page and the Golden rule on the other page. Column in Rimini marking the place where Caesar addressed his legion, legitimising his actions by the way the senate had treated the tribunes.